human health is an environmental issue. INDUSTRIALLY PRODUCED SYNTHETIC CHEMICALS ARE FOUND IN ALMOST EVERYTHING WE USE. WE EAT THEM, DRINK THEM, BREATHE THEM IN AND RUB THEM ON OUR SKIN, BUT DO WE FULLY UNDERSTAND WHAT THEY ARE, AND WHAT THEY CAN DO? Synthetic chemicals are used in everything from food and drink to toiletries and cosmetics, from furniture and furnishings to electronic goods, and even children's toys. Many of these chemicals are harmless and indeed useful, but many have been consistently linked to serious health problems, including cancers, birth defects, irregular brain development and reproductive problems. We should not be treated like human guinea pigs, waiting to see what the health impacts will be for us and future generations. The responsibility for protecting our health lies with governments, who must take strong action to regulate the chemical industry and restrict the usage of potentially harmful chemicals in everyday products. But there are some things we can do as individuals to try and safeguard our own and our families’ health. WEN's briefings on health and harmful chemicals aim to help you make informed decisions about what to buy. We also encourage you to try making your own healthy, natural and sustainable alternatives to commercial products, from growing your own vegetables to making your own deodorant. Check out our blog for tips and recipes to keep your home and your body free from harmful chemicals. Do you ever read the ingredients on the back of your shampoo bottle? Or your deodorant? WEN's Toxic Tour has a rummage through your make-up bag to dig up all the harmful chemicals in your favourite lotions and potions. We believe that it's everyone's right to know exactly what it is we're putting on our skin, so that we can make safe decisions about our health and beauty routines. If Toxic Tour is about the problem, then Fruity Beauty is all about solutions. These hugely popular workshops show you how to make your own cosmetics and toiletries from natural, organic ingredients. Our motto is: if you can't eat it, don't rub it on your face! Participants learn how to make coconut oil deodorants, banana facemasks and chai tea body scrubs, while talking about exactly why a sustainable beauty routine is so important for your health and the environment. Find out more about our workshops. 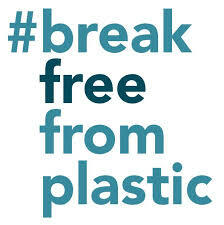 Through our Ending the Cosmetics Cover Up campaign, WEN has worked to expose the health and environmental implications of cosmetics production and use, from the pollution caused by plastic packaging to the dangerous disruption of our hormones by EDCs (endocrine disrupting chemicals). 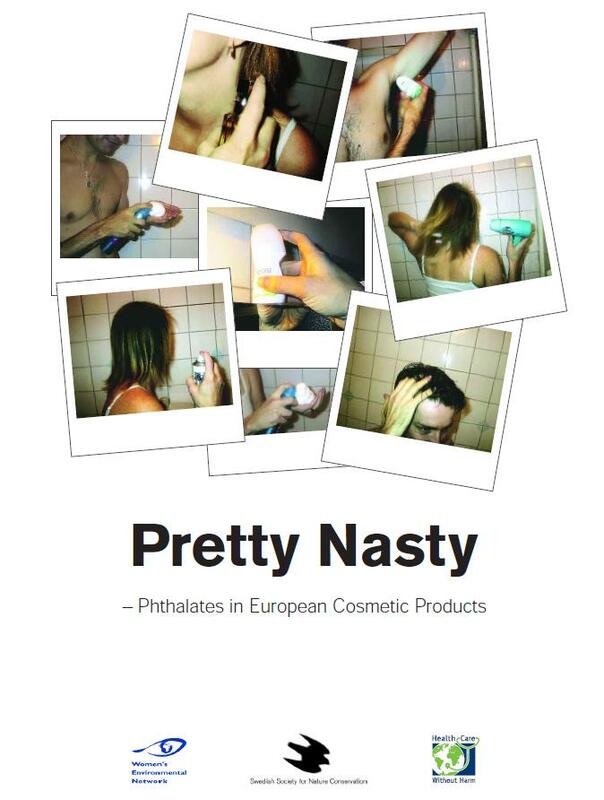 In 2002 we produced the shocking Pretty Nasty report, in which we tested well known cosmetic products for phthalates, a large family of synthetic chemicals linked to decreased fertility and reproductive defects. Our Getting Lippy briefing, updated in 2015, provides a detailed summary of the ways in which cosmetics might be harming your body and the environment. WEN believes that we shouldn't have to stop using cosmetics, but we should have the assurance that all products on sale are safe - for people, animals and the environment. Since our inception WEN has worked to change the way we think about breast cancer. We believe that it must be understood as an environmental disease, caused at least in part by prolonged exposure to harmful chemicals all around us. In 1995, WEN submitted a petition - National Action Plan for Breast Cancer - to the Department of Health, calling for more emphasis on prevention of breast cancer. The petition received over 80,000 signatures, and the overwhelming interest from women across the UK led to a new interactive project: Putting Breast Cancer on the Map, which aimed to identify any breast cancer clusters in the UK that may be linked to environmental pollution in the local area. The project gave women and their communities the tools and information to understand their risk of breast cancer due to environmental factors, and provided them with a voice to air their concerns about their health and their local environment. WEN believes that breast cancer is a preventable disease, not an inevitable one. You may not have thought about this before, but the very ground you walk on could be making you ill. Along with other organisations including Friends of the Earth, Pesticide Action Network UK and the British Society for Allergy, Environmental and Nutritional Medicine, WEN set up the Healthy Flooring Network in 2000, which aimed to raise awareness about the health and environmental impacts of certain kinds of flooring. 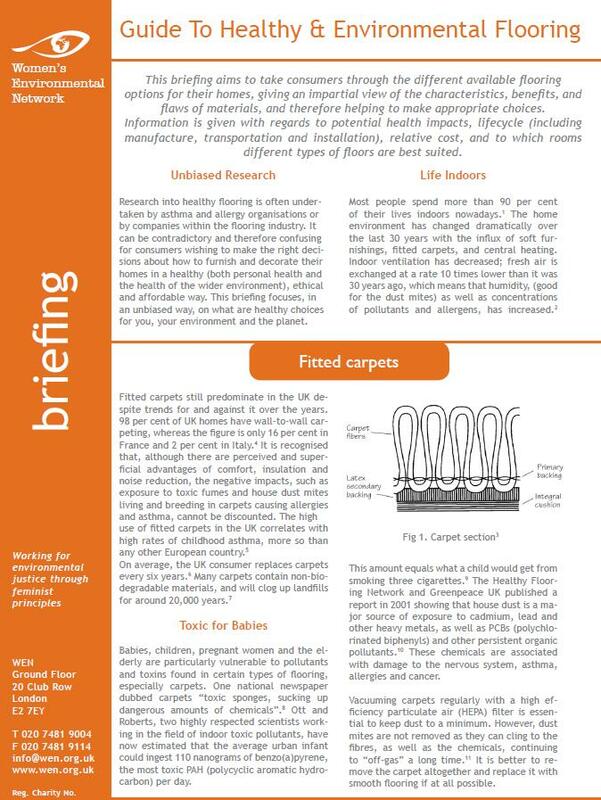 Did you know the UK uses fitted carpets more than any other country? This kind of flooring not only harbours dust mite allergens, which trigger asthma and other allergies, but also absorbs toxic pollutants from the surrounding environment. For more information on flooring and how to choose the healthiest and most environmentally friendly floor for your home or workplace, check out our Guide to Healthy and Environmental Flooring or contact us.